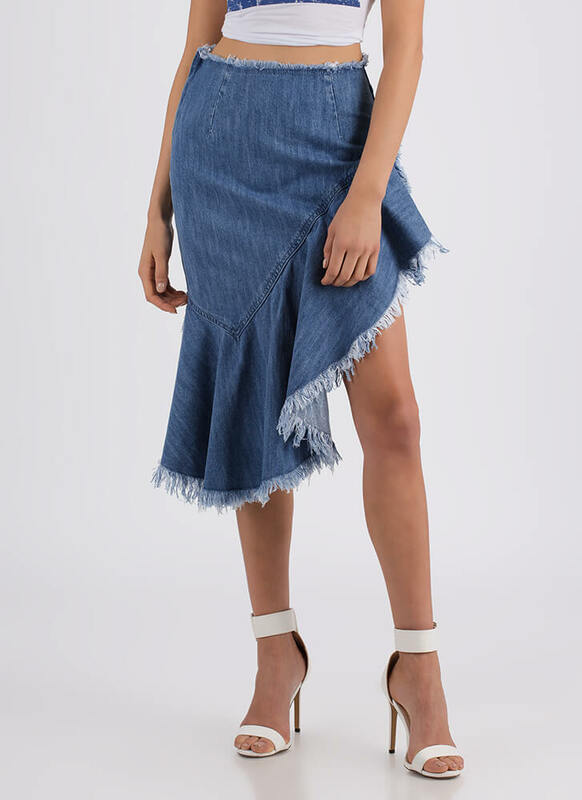 Want more fringe in your life? No problem! We're always happy to help a friend in need. 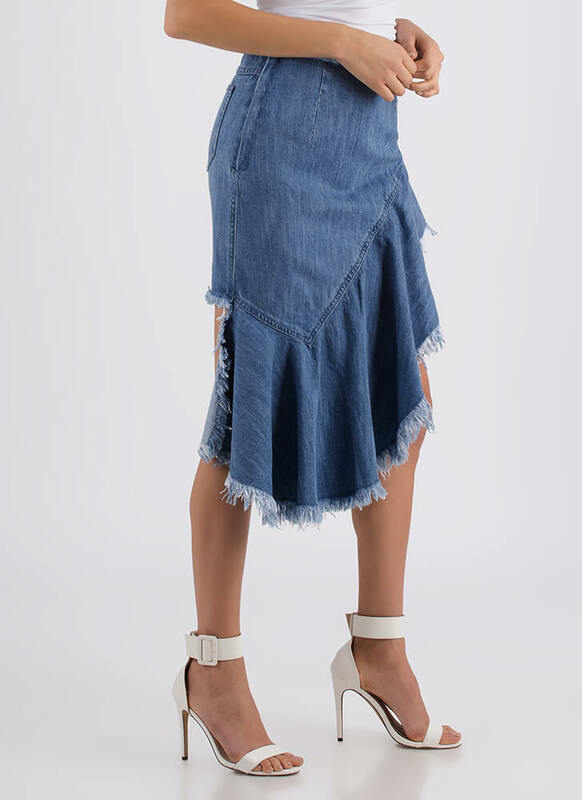 Non-stretchy denim skirt features a fringed waistline, a high-low silhouette that is short in the back and long in the front, and a wide cascading ruffle with long stringy fringe and an asymmetrical design. 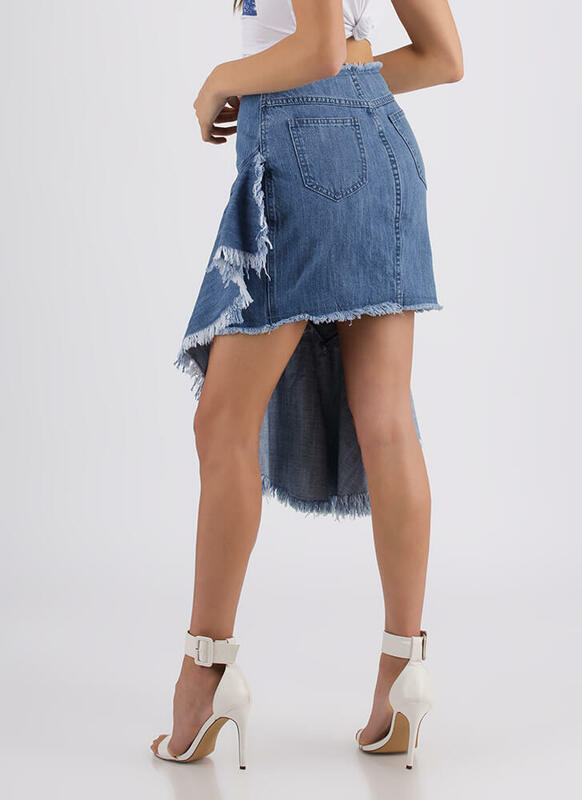 Skirt is finished with a hidden side zipper for easy on and off. Length: High: 16", Low: 28"